Photographs of the Sunrise over Lake Michigan , north of Chicago, Illinois during the winter. 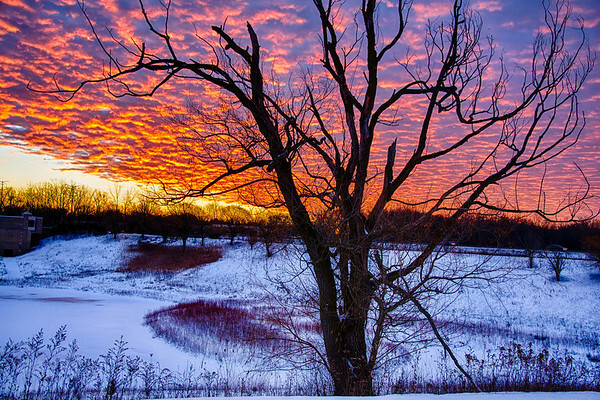 Sunrise north of Chicago on December 18th, 2013. This morning was incredible. The snow, the sky and the temps all made this very memorable. I shot 3 frames for this so I could make an HDR image of the sunrise. I really like the blue sky behind the red and orange clouds.